Unanimous raves! Ten 5 star reviews for this stunning show! Back by popular demand! Last two dates in 2017 in the UK! After two sell-out shows Live At Zédel in June and July, Lorna returns with her triumphant new show, HOME AGAIN, for two shows only on 27 October and 11 November at 7pm. HOME AGAIN saw Lorna return to the cabaret stage after a two-decade absence. 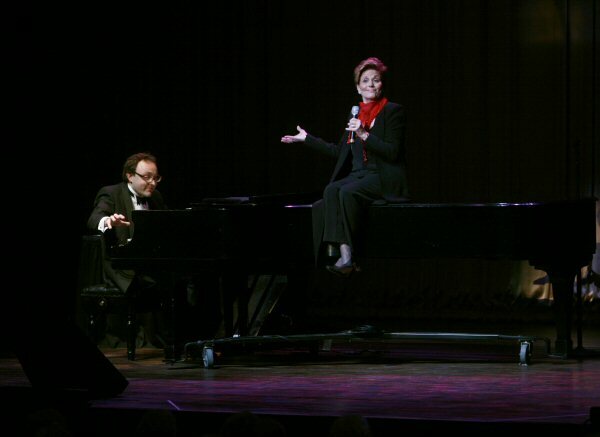 HOME AGAIN was devised by her longtime collaborators, director Barry Kleinbort and, at the piano, the inimitable Jason Carr.